To narrow down your search...Click on one of the specified lodging guides below. (1000-1200 sq.ft) 10 Minute Walk / On Chateau Whistler Golf Course 10 Minute Walk on Free Village Shuttle Route Free underground parking. On Chateau Whistler Golf Course. (1600 sq.ft) 10 Minute Walk/ On Chateau Whistler Golf Course 10 Minute Walk on Free Village Shuttle Route Free underground parking. On Chateau Whistler Golf Course. Blueberry Hill 4 Bedroom Luxury Home 1 Km to Whistler Village and Whistler Creekside 1 Km to Whistler Village and Whistler Creekside Stunning views, hot tub. (1070-1600 sq.ft) 50 Feet from Lifts of Both Whistler and Blackcomb Mountains Building is located in heart of Whistler Village at the base of Blackcomb and Whistler Gondolas Located at the base of both mountains. Underground parking. (1094 sq.ft) 3 Minute Walk to Village, 5 Minute Walk to Lifts Building is located in Village North very close to all village amenities Outdoor heated pool and hot tub. (2300 sq.ft) Ski In/Ski Out on Blackcomb Mountain 5 Minute Walk on Free Village Shuttle Route Units have private hot tubs. (1800 sq. ft) Ski In/Ski Out on Blackcomb and Whistler Mountain 5 Minute Walk Most units have private hot tubs. Blackcomb Mtn. Village Run 3, 4 & 5 Bedroom Ski In/Ski Out on Blackcomb and Whistler Mountain 5 Minute Walk Most units have private hot tubs. On Free Village Shuttle 10 Minute Walk, On Free Village Shuttle and Valley Trail Private Townhomes with private hot tub and garage. Magical RemoteLodge located on Green Lake 12 Suites 5 Minute Drive 5 Minute Drive to Village Restaurant, lakeside hot tub, meeting rooms, central lounge/dining room, shuttle service, great views. Located in Nicklaus North 3 - 4 Bedroom Accommodation 5 Minute Drive to Lifts 5 Minute Drive to Village Townhomes with private hot tubs and garage. Located in Upper Village Hotel Rooms, Suites, 1 & 2 Bedrooms Ski In/Ski Out on Blackcomb Mountain Located in Village steps to shops and restaurants. Luxury Hotel Outdoor pool, hot tub, restaurants, fitness facility spa, shops , meeting space. Hotel Rooms, Suites Ski In/Ski Out on Blackcomb Mountain Located in Village steps to shops and restaurants. Luxury Hotel Outdoor pool, hot tub, restaurants, fitness facility spa, shops , meeting space. Located in Upper Village 2, 3, 3 & Den, 4, 4& Den Ski In/Ski Out on Blackcomb Mountain Located in upper Village steps to lifts and shops Luxury Hotel Outdoor pool, private hot tub, restaurants, fitness facility spa, shops , meeting space. Quiet upscale neighbourhood, great views. 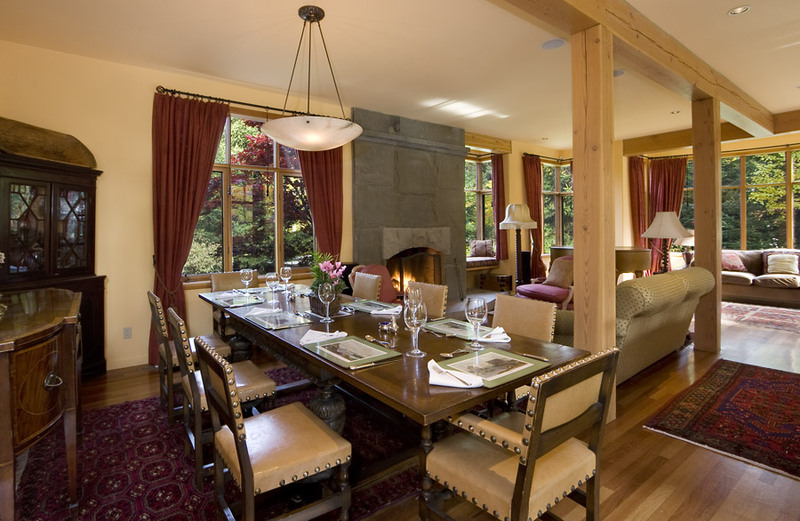 Luxury lodge with ski in/ski out, outdoor pool, hot tub, exercise room, meeting space. Located in Whistler Village 3 Bedroom & 3 Bedroom + Loft 50 metres from lift base Located in Village steps to shops and restaurants. Roof top hot tub, underground parking. Blackcomb Benchlands 3 Bedroom Townhomes On Free Village Shuttle, Steps to Lost Lake and Golf Course On Free Village Shuttle Townhomes with private hot tubs and garages. 3 Bedroom Den Townhomes Ski In/Ski Out Access On Free Village Shuttle Route 5 Minute Walk to Village On Free Village Shuttle Route Townhomes on Valley Trail, great quiet location close to everything. 4 Bedroom Townhomes Steps to 5 Lifts Steps to the Village Townhomes in a very desirable location, quiet yet close to everything. Upper VIllage Studio, 1, 2, & 2 Bedroom + Loft Units Steps to the lifts. In the Upper Village Condo lodge with swimming pool, hot tub, spa and restaurants. Village North 1 and 2 Bedroom Townhomes On Free Village Shuttle 10 Minute Walk to Lifts Steps to grocery store, restaurants and village shops. Townhomes with private hot tubs, outdoor swimming pool, fitness room and hot tub. Nicklaus North 5 Bedroom Luxury Home 5 Minute Drive to Village 5 Minute Drive to Village Great neighbourhood of high end homes on NIcklaus North GOlf Course Call for Rates. Blackcomb Benchlands 1,2 & 3 Bedrooms 10 Minute Walk/ On Chateau Whistler Golf Course 10 Minute Walk on Free Village Shuttle Route Townhomes on the golf course, bright and spacious. Nicklaus North 3 Bedroom + Den- 7 Bedroom Home 5 Minute Drive to Lifts 5 Minute Drive to Village Great views from this luxury property, private hot tub and on the golf course. Townhomes On Free Village Shuttle 10 Minute Walk to Lifts Steps to grocery store, restaurants and village shops. Townhomes steps from all village amenities. Located in the center of Whistler Village Studio, 1, 2 and 2 Bedroom + Loft Units 3 Minute Walk to Lifts Located in center of Whistler Village steps from shops and restaurants. Underground parking, convenient walking distance to all village amenities. Located at the base of Whistler & Blackcomb Mountains Studio, 1 & 2 bedroom units 1 minute walk Located in center of Whistler Village steps from shops and restaurants. Luxury Hotel Outdoor pool, hot tub, restaurants, fitness facility spa, shops , meeting space. Horstman Estates Above Whistler Village 5 Bedroom Log Home Ski In Access on Free Shuttle Free shuttle access or 10 - 15 minute walk. Private hot tub, double car garage, valuted ceilings, logs. Horstman Estates Above Whistler Village 5 Bedroom Home Ski In Access on Free Shuttle Free Shuttle access or 10 - 15 minute walk. Private Hot Tub, vaulted ceilings, West Coast Theme. Chalet 3 Km to Whistler Village 3 Km to Whistler Village Private hot tub, large swimming pool, skating rink, gym and squash courts, Nicklaus North Golf Course, the Valley Trail and Green Lake. Located in Whistler Creekside Studio, 1, 2 and 3 Bedroom Units Ski In/Ski Out across the street Steps to Creekside Village Outdoor swimming pool, hot tub, BBQ (summer), underground parking, ski storage. Located in Upper Village Studio, 1, 2, 3 and 4 Bedroom Units Ski In/Ski Out Steps to village shops and restaurants. This luxury hotel has an outdoor swimming pool, hot tub, exercise room, restaurant, 24 hour front desk, meeting space. Creekside 1,2 & 3 Bedroom Suites Ski In/Ski Out Located in Creekside Village Luxury suites, outdoor hot tub, swimming pool, children's room, media room, meeting space. Blackcomb Benchlands Studio, 1 & 2 Bedroom Units On Free Village Shuttle , 5 Minute Walk to Lake 15 Minute walk to shops and restaurants, on Free Village Shuttle Outdoor pool, hot tub, fitness room, concierge desk, Conference facilities. Blueberry Hill 2 - 4 Bedroom Condominiums On Bus Route 10 minute walk to village 10 Minute walk to Village Fabulous views, high speed internet, some units come with village parking. Blackcomb Benchlands Studio, 1 & 2 Bedroom Suites Ski In /Ski Out On Free Village Shuttle Route Common outdoor swimming pool and hot tub, high speed internet, daily breakfast. Whistler Village North 3 - 4 Bedroom + Den Townhomes 10 Minute Walk to Lifts 5 Minute Walk to Village Shops and Amenities Luxury townhomes with private hot tubs and garages. Blackcomb Benchlands 3 Bedroom Units Ski In/Ski Out Across The Street 15 Minute Walk to Village Shops and Amenities on Free Village Shuttle Route Luxury townhomes with great ski access and private hot tubs. Whistler Village 3 - 6 Bedroom Townhomes Ski Out/Walk to Lifts 5 Minute Walk to Village and Lifts Luxury spacious townhomes with great views, private hot tubs and a great location. Townhomes Ski In/Ski Out 10 Minute Walk to Village and on Free Village Shuttle Spacious ski in/ski out townhomes with common hot tub. Located at the base of both Whistler and Blackcomb Gondolas. Located right in the village. Luxury hotel with outdoor swimming pool, hot tub, restaurant, meeting rooms. Whistler Village 1 & 2 Bedroom Suites 100 metres from lifts Located right in the village Luxury hotel with outdoor swimming pool, hot tub, spa, cardio/weight room, sauna. Whistler Village North Studio suites with kitchenettes 5 Minute Walk to Lifts Located in the village steps from shops and restaurants. Outdoor pool, hot tub, meeting rooms, restaurant, 24 hour front desk. 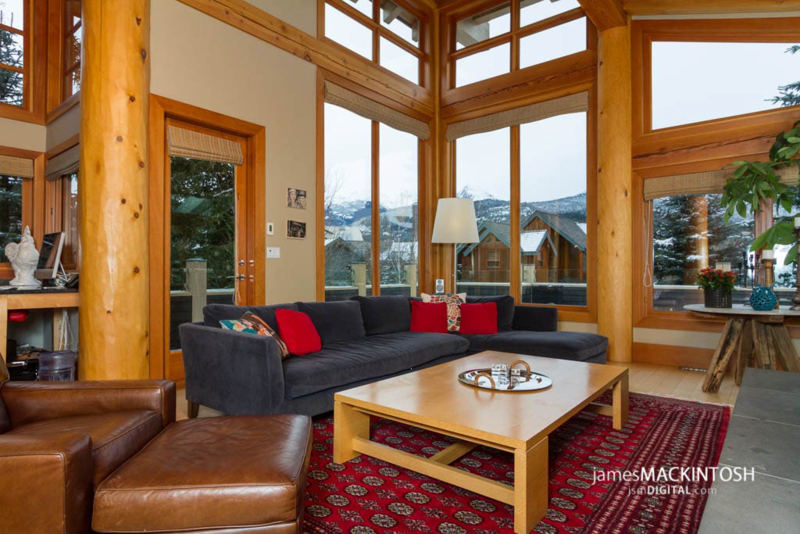 Whistler Village 5 Bedroom 150 metres to base of both Whistler and Blackcomb Mt. Located in Village Roof top hot tub, large penthouse, close to everything. 4 Bedroom Townhomes On Free Shuttle / Possible to Ski Back to Property 10 Minute Walk to Lifts on Free Village Shuttle Free underground parking, walk to lake, very quiet location. 4 Bedroom Townhomes Ski In/Take Free Shuttle to Lifts 10 Minute Walk to Lifts on Free Village Shuttle Free underground parking, walk to lake, very quiet location. Whistler Village 3 - 5 Bedroom Townhomes Ski In/Ski Out 2 Minute Walk to Village Large luxury townhomes in one of the best locations in Whistler. Most units have private hot tubs and garage. Whistler Village 3 Bedroom 100 Metres from the Lifts In Village steps from shops and restaurants. Underground parking, wood fireplace, sauna. Blackcomb Benchlands 2 Bedroom Ski In Ski Out 10 Minute Walk to Village on Free Village Shuttle Route Most units have private hot tubs. 3 Bedroom Townhomes 10 Minute Walk to Lifts on Free Village Shuttle 5 Minute Walk to Shops and Restaurants Some units have private hot tubs. Underground Parking. Townhomes 10 Minute Walk to Lifts on Free Village Shuttle 5 Minute Walk to Shops and Restaurants Outdoor swimming pool and hot tub. Underground Parking. 2 & 3 Bedroom Townhomes 10 Minute Walk to Lifts on Free Village Shuttle 5 Minute Walk to Shops and Restaurants Outdoor swimming pool and hot tub. Underground Parking. Whistler Village North Studio, Executive and 1 Bedroom Suites 10 Minute Walk to Lifts on Free Village Shuttle 5 Minute Walk to Shops and Restaurants Outdoor swimming pool, hot tub, spa. Whistler Village 1 & 2 Bedroom Suites Located right at the base of Whistler and Blackcomb Gondolas Located in Village steps to shops and restaurants. Some units have private hot tubs, restaurant, spa, underground parking. 2 bdrm(991 sq. ft) 15 Minute walk to lifts on free village shuttle route. 5 Minute walk to village shops and restaurants. Common hot tub, underground parking. Whistler Village 2 Bedrooms 5 Minute Walk to Lifts 5 Minute Walk to Village Swimming pool, hot tub, sauna, ski room. 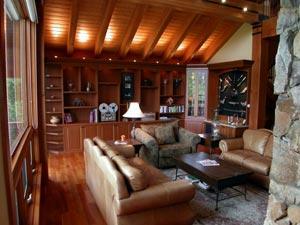 Whistler Village 3 Bedrooms Ski In/Ski Out 3 Minute Walk to Village Luxury, privacy and convenience. Blackcomb Benchlands 3 - 4 Bedroom Townhomes Ski Home Free Shuttle to Lifts 10 Minute Walk to Upper Village on Free Village Shuttle Large private units in a wooded setting. Common hot tub. 3&4 Bedrooms 10 Minute Walk to Lifts on Free Village Shuttle Route Shops and Restaurants across the street Common hot tub, some units have private hot tubs. Whistler Village Studio, 1 and 2 Bedroom Suites Ski In/Ski Out In the village steps from shops and restaurants Hot tub, swimming pool, sauna, steam room, spa, exercise facility, meeting space, shops and restaurants. Kadenwood Estates 5 Bedroom Palatial Retreat Ski In/Ski Out 5 Minute Drive to Village Hot Tub, media, room, ski in/ski out, exercise room, steam room, views. 2 minute walk In main Village Swimming pool, meeting space, shops and restaurants. (950 sq.ft) Ski In / Ski Out Across the Street on Free Village Shuttle Route 5 Minute Walk to Upper Village Underground parking common hot tub and swimming pool. (1370 sq ft) On Free Village Shuttle 10 Minute Walk to Village Close to lake, common hot tub, some units have private hot tubs.